Re: Fodder sprouting systems, anyone? We're getting a couple of French Angoras next month, and my husband and I have been reading the forums/blogs and watching some youtube vids about feeding fodder. We'd like to eventually supplement with grown fodder as well. We are also having a hard time finding barley seeds right now as we're in the south and no one really uses them until later in the fall. One feed store had pearled barley and when I told them that since it had been pearled, it won't grow (thanks to the discussion here I knew that). The store owner came up and told me that it would sprout and grow, that he wasn't allowed to officially say that but it would grow just fine *wink wink*. I was pretty confused how a pearled seed would grow, but I bought a small bag to test it out. It seems like they're sprouting. Huh??? I honestly did not expect anything to happen and now I'm really confused. Is this actually barley? Is it just not pearled? Is it just not going to fully grow past this point? I'm going to attempt to post pictures. I apologize for the poor quality, my nice camera seems to be hiding from me right now. I hope you can see the few little roots starting to form. This one has a few sprouts but has the least growth. I soaked these for only 6 hours and they're in a tiny tupperware container, so that may be why. This one has the biggest roots coming off one of the seeds. I hope you can see it. Last one, this one is newer than the others but has little bulbs of roots starting to emerge. Take a gander and see if this helps. From the pictures you posted, my seeds are looking a lot like yours. Maybe these aren't really pearled. I need to do another batch and soak them longer. I'll be doing your 24 hour bleach soak this time and see if they sprout faster. They seem to be slow to sprout but I only soaked them 12 hours with no bleach. 5. air circulation needs to be as high as possible during the sprouting process. I sometimes use a shadecloth bag hung from a rafter rather than buckets, to help provide air. One other tip, if mould growth becomes a problem (apart from suspecting the grain to be old), you might try rinsing each bucket or container of sprouts with pure clean water rather than letting each container drip from one to the next (e.g. early in the sprouting process a lot of people stack their sprout crates one above the other). Water conservation isn't always the best option when sprouting in a warmer climate. I hope this is of some help, and good luck sourcing grains -- sorry I can't help with finding sellers (but I'm on the opposite side of the planet). Edited to delete doubled post... Computer glitch. Whew, just finished reading this whole thread. (Had read the sticky Grumpy had about his system but it's so much bigger than what we'd want. So far we've started and fed some grain grasses this fall but want to try growing fodder.We can get oats, wheat and BOSS seeds. Have a few questions. The soak times seem very different as given by those who've done this successfully. Is that difference due to the seed used--wheat, barley etc? Many posts mention the difficulty of sprouting oats. We've found it easy to grow as a grain grass--would it be harder to sprout? Our rabbits have not been on pellets since soon after we got them in the spring and the young ones not at all. I know any new food has to be phased in slowly but if we've been feeding grain grass (and assorted grasses and greens foraged) can we assume they're ready to handle fodder as replacement for the dwindling wild supply or grain grasses? (Also feeding hay and have been feeding small amount of grain) Does the fodder fill the place of the grain as grain? Does the grain grass do the same? Thanks to all of you who shared such detailed descriptions and photos of your systems. Has anyone ever tried Milo? I am on day 6 of my first batch of wheat fodder. So far, so good! Quick question, I've not been able to find information on how close the nutrient profile of wheat fodder is to barley. I know that barley is best, but it's not available here. What is the protein percentage of wheat fodder? Do you feed the same percentage of your animals' body weight in wheat as you do barley? Trying our hand at sustainable living with egg chickens, meat rabbits, herbs & veggies - and lots more to come! We've just started feeding wheat fodder--wheat and oats are all we can get in our area. It was easier than I feared--no mold. The first couple times we fed it the adults ate it readily but the just weaned kits and jr does weren't so sure. Now they all eat it and I'm just trying to figure out how much to grow and feed along with their hay and whether we should give them plain grain too. (We're replacing forage of many types gathered daily through the growing season, not pellets) Think we'll try growing the oats into fodder even though folks on here said it's harder than barley or wheat. We've grown and fed grass grown from the oats but the fodder seems more manageable since it grows out at a predictable rate and don't have trays waiting for regrowth like the grain grass. Someone just gave us a bunch of seeds--lots of radish and lettuces--think i'll try sprouting some of those too. Hello all! I have been reading over this thread for the past few days with gusto because I have been wanting to offer more natural and better food for my bunny and those of my sisters. In the spring, summer and early fall I forage for most of their food, they get some veggie scraps from the kitchen and some of the garden too, free choice hay. Early and late in the season they are offered some pellets when forage is more slim but winter they are always back on pellets and whatever I dried from my foraging which never lasts. I was just wondering if making a mini fodder system would be worthwhile for 3 rabbits or will it end up producing much more than they need. Mine is a 16lbs flemish giant doe , one sister has a 8lbs lop mix doe, and the other has a 5lbs harlequin mix buck. All are spayed/neutered. Feral wrote: Hello all! I have been reading over this thread for the past few days with gusto because I have been wanting to offer more natural and better food for my bunny and those of my sisters. In the spring, summer and early fall I forage for most of their food, they get some veggie scraps from the kitchen and some of the garden too, free choice hay. Early and late in the season they are offered some pellets when forage is more slim but winter they are always back on pellets and whatever I dried from my foraging which never lasts. Sure it's worth it for just a few rabbits. Just use a trays of the appropriate size for the three rabbits and grow it as a supplement. Sprouting rather than going all the way to fodder is also a possibility. I've done grain grass in soil as well as fodder in small quantities for my goose and rabbits. It's just about time for me to start sprouting grain for my goose, now that winter is so close. I fed wheatgrass fodder in the winter last year with fair results. The spring, summer and fall here in Florida makes for horrible mold. I'll be getting my grow trays I got from Amazon.com up and running. I would love to grow barley, but I can't get it here. I had in the past considered trying a fodder system but after reading some negative articles decided against it. http://ucanr.edu/blogs/blogcore/postdetail.cfm?postnum=11721 http://www.sheepandgoat.com/articles/hydrofodder.html However, I am wondering how it works for those of you who have actually tried it. Have any of you been using a fodder system for more than a year? What are your thought on the fodder? Did any of you try it and decide it wasn't for you? What were your reasons? 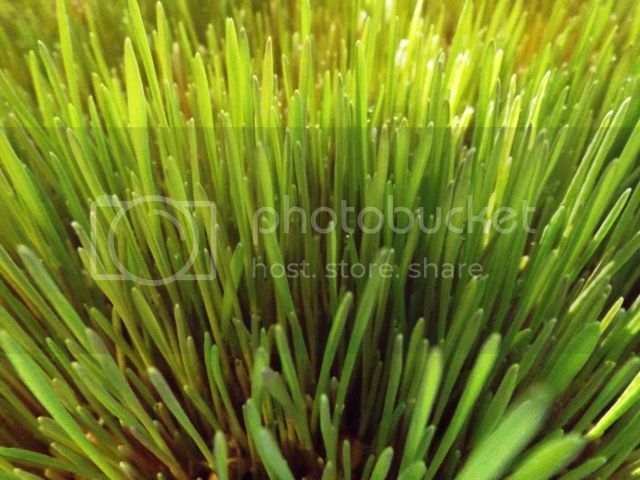 Featherhoof wrote: I fed wheatgrass fodder in the winter last year with fair results. The spring, summer and fall here in Florida makes for horrible mold. I'll be getting my grow trays I got from Amazon.com up and running. I would love to grow barley, but I can't get it here. I've been growing fodder for over a year now and gave tried various way and locations. When I grew it outside, I had fruit fly problems. When I grow it indoors, I have molds issues or slow growth depending on where it is located while growing. Some bunnies love it, others tolerate it and then there are the ones who just can never seem to make up their mind. Does the outcome of growth make a difference in the color of containers? Should I be using dark, solid containers verses the clear ones? Also, I water using gravity and start with the newly soaked grains on top going down to the tall, yet to be harvested fodder at the bottom. Bs hound I reverse this set up to help with any watering or mold issues? Since moving my system back in the house, I have been getting mold issues in the bottom trays. I am thinking they aren't draining as well at the bottom. Little Brown Mouse Rabbitry - a little brown mouse was the start of our beautiful love story.